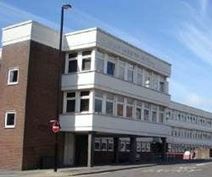 This office facility is situated in central Worthing, and offers modern serviced office suites that range in size from 1 to 7 workstation. 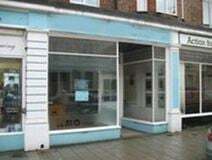 Available for immediate occupation, this centre is surrounded by local amenities. Renovated in June 2016 this heritage building is in the heart of Worthing Town Centre, easily accessible from Shoreham to Littlehampton. The fully flexible, modern and creative office environment is inhabited by a community of like-minded people looking to collaborate from co-working or private office space. The offices are accessible 24-hours a day and the on-site management team are on hand to help with your needs. This purpose built office building is immediately across from Worthing railway station and offers a range of office spaces with plenty of light and double glazing. Gatwick airport is just 35 miles away, and the M27 is easily accessible. A large office space is available to let in this prestigious building, modernly designed and equipped with the latest technology solutions to offer an ideal working environments for companies and entrepreneurs. The building is located in the proximity of Worthing town centre and is close to the seafront.